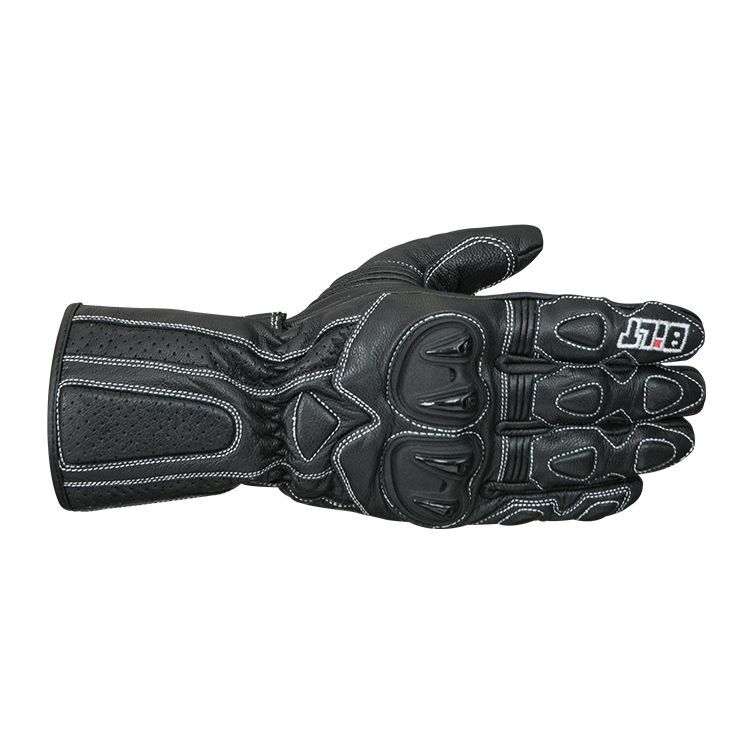 The Max Speed Gloves from Bilt are a great option for those riders looking to get track level protection without having to pay track level prices. A two-piece TPU molded knuckle, memory foam padding at the fingers and external seam overlays all come together to keep you safe should you find yourself taking a closer look at the pavement. I normally wear medium size glove. I actually need to buy a large for this glove. I spent a couple of months at the end of last year trying to find good street sport gloves and after trying all the familiar brands and models up to the $150 USD range, ended up with nothing. Not a single pair I tried was without issue, so I decided to take a break until spring. Well it's spring, so I went glove shopping. However, this time I went to Cycle Gear instead of shopping online so I could try them on. I spent at least an hour trying on almost everything they had in store and was about ready to leave, when I saw these BiLT Max Speed gloves. They are comfortable, no failed stitching, no pressure points, gauntlet fits over my jacket sleeve (although barely), fingers are all the right length, great protection short of the palm slider I wanted, but almost track gloves nonetheless. Regularly $50, currently on sale for $30 !!! I am stoked. If they didn't say BiLT on them, I would think they were a premium brand at a much higher price point. I went for a ride afterwards and the gloves were great, so comfortable I didn't even notice them. Highly recommend! I just got these the other day so I can't speak to long term durability, but I can say that they are very comfortable, warm, and keep the wind out. There's plenty of padding and armor for a crash and they grip well. I was at a shop the other weekend and gloves like these were selling for 90 bucks so it was a great deal for the price. Time will tell if they hold up but they look pretty well constructed and feel that way as well. Even if they only last a year or 2 they were totally worth the price. My last pair (Kevlar) that I got on clearance lasted for 10 years. I hope these do the same. They fit well and are priced right. Great gloves for the money, good for winter 48F and summer 90s good quality! I got these at the local Cycle Gear a week ago. So far they seem comfortable but I haven't tried them on an hour ride yet. It took size 3X to fit my paws. For the $30 sale price I'm happy so far. Are these good cold riding gloves? 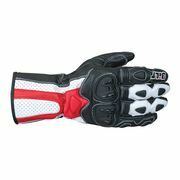 BEST ANSWER: They are perforated leather gloves, I wouldn't use them for cold riding personally. I use them for summer riding and have a separate pair of cold weather gloves for the fall/winter months. There's foam in the fingers etc. but I'm pretty sure there's no insulation to speak of anywhere in the glove.